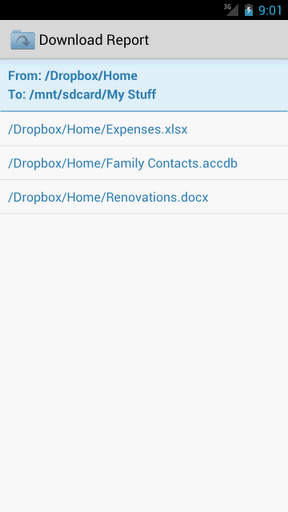 Folder Downloader for Dropbox, which also wins our award for most self-explanatory app of all time, provides a novel way for you to download entire folders of Dropbox files in one go. 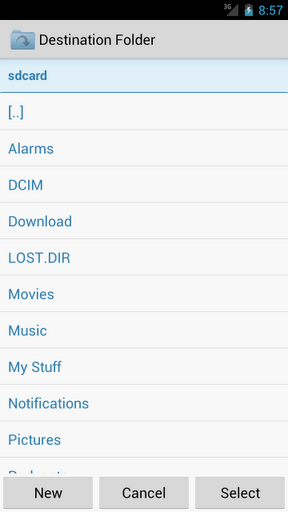 Created for those running Google’s Android, you simply browse through your Dropbox folders, long-press on the folder you wish to download to your device, and you’ll be asked to "download folder to…". 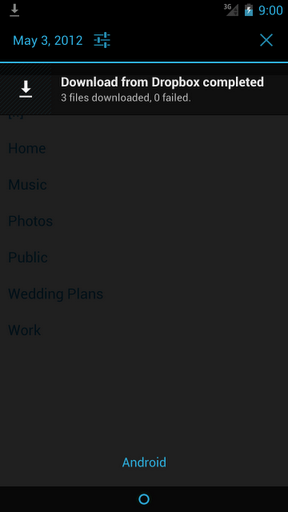 Then simply browse your Android’s local storage, and once you’ve found a suitable location, use the "Select" button to begin downloading. 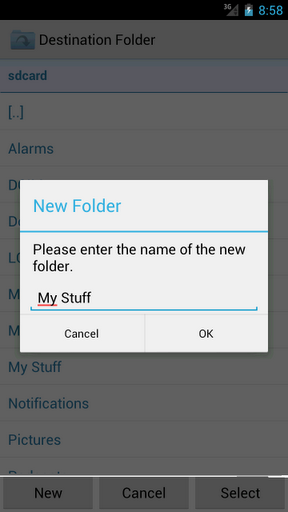 It supports most devices running Android 2.1 or higher, and allows you to quickly and effectively create new folders locally on-the-fly, meaning you won’t need a separate file managing utility to keep your files in check. All downloads are performed in the background via an Android Service, which means you don’t need to keep the app running in the foreground and can go about your other digital errands. At a time when Android security is frequently under the spotlight for all of the wrong reasons, you may be relieved to learn that authentication for the app is performed via OAuth and Dropbox’s official API, so there’s no way on earth that the app can snoop on your Dropbox password. As you’d expect, this app requires a Dropbox account, although you needn’t necessarily have the official Dropbox app installed on your device. With Google Drive and Microsoft’s SkyDrive only recently completing what I like to call the Cloud Computing Quartet along with iCloud and Dropbox, it will surely be interesting to see which prevail and which end up playing supporting roles. Microsoft is the software king, Google is the number-one web company, but Apple – with a comparatively poor record in web ventures – has already gathered a decent user base of its iCloud service. It has taken a great deal of time for the big companies to field some form of competition against Dropbox, but as each battles for supremacy, it can only mean faster speeds, better service, and more GB’s of free storage for the consumer dollar.